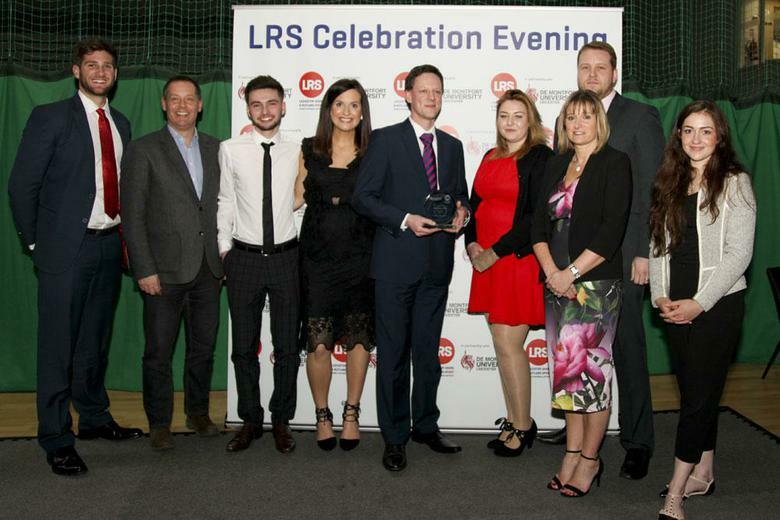 Leicestershire and Rutland Sport (LRS) hosted their inaugural Celebration Evening, in partnership with De Montfort University, on Thursday 9th February, at the Leicester Arena, home of the Leicester Riders. The evening celebrated the significant impact that sport and physical activity has made to improve people's lives, through the work of LRS and its partners. The breadth of work undertaken by LRS and in partnership with all local authorities, schools, national governing bodies of sport and the voluntary sector, to make sport and physical activity more accessible, was showcased. Hosted by Ian Stringer, BBC Radio Leicester Reporter/Commentator and local sport and physical activity advocate Gaynor Nash, the evening included the presentation of a number of awards. Pictured below are representatives of the Ashmount staff team collecting the award. The Ashmount Staff Team was presented with the ‘Workplace Health Award’. The Workplace Health Award aims to recognise workplaces who have fully engaged with Workplace Challenge by encouraging staff to take part in national activity log challenges and the LRS competition programme. It is awarded to workplaces who truly value the health and wellbeing of their employees. Pictured below are members of the Ashmount staff team collecting their award from previous GO GOLD Ambassadors Grace Garner (currently of Wiggle High5 Cycling) and Jonny Walton (Team GB athlete at the 2016 Rio Olympics) and LRS Chair Andy Reed OBE.